I discovered Vegan Tuck Box, a new vegan snack box scheme available in the UK and now across the EU (I believe it’s the UK’s first! ), at VegFest London a few weeks ago, and excitedly put in my order just a few days later. For years I’ve been hearing about Vegan Cuts, a monthly vegan box scheme in the US, and I’ve been so jealous of Americans for being able to get a box of vegan goodies delivered to their doorstep each month (click here to see my reviews of the best vegan box schemes in the US, UK and Australia)! So I didn’t hesitate to order my first Vegan Tuck Box as soon as I heard about it. After eagerly anticipating its arrival, it reached me a few days later. Some of the products I’ve tried before at Vx, but a few were new to me, and it’s nice to have treats delivered to your door. The other aspect I really liked was that I tried a few new things because of it, like Primal Strips, which I’ve heard about for ages but never tried (mock meats aren’t really my thing usually…read on to see what I thought of these ones!). 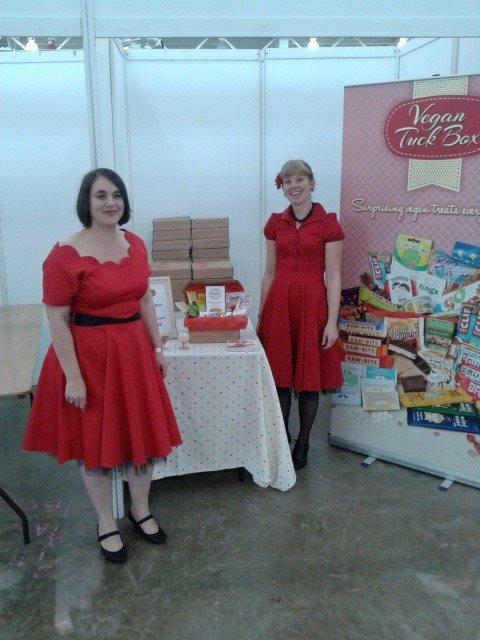 The Vegan Tuck Box website says the company is run by two lovely vegans — and having volunteered at London Vegan Pledge, an event that Chrissy and Kelly started, I can attest to that fact! They very kindly agreed to do an interview with me…read on for it. But first, I’d like to show you what was inside my first box, and what I thought! Vego 150g chocolate hazelnut bar: this German confection is my new favourite chocolate bar. I tried it at Vx a few weeks ago, and I loved it so much I was excited to receive one in my Tuck Box even though I’d tried it before. My boyfriend, who loves milk chocolate and hadn’t yet found a vegan milk chocolate he liked (he even rejected a Moo Free bar I gave him to try!) loved the Vego bar. Biona hazelnut waffles: these were completely new to me. They are a tasty stroopwafel-like snack made with hazelnut filling instead of caramel. They are tasty although they were made with whole wheat so a bit heavier than your average stroopwafel! Freedom Mallows strawberry marshmallows: I’d seen these at Vx before but I didn’t buy them because I was too distracted by the Vego bar… These are just like pre-vegan marshmallows! I think I’d prefer the vanilla flavour just so I could use them in my hot cocoa. Lizi’s granola: The granola was nice but the bag was too small — it was OK for a taste but not big enough for breakfast! Peppersmith lemon & peppermint gum: The flavour of this is nice but the gum was quite hard (not sure if I just got an off box). Primal Strip, BBQ Flavour: I’m not normally a fan of mock meats so I’d never tried primal strips (which are like vegan beef jerky) before. The BBQ flavour was great although I wasn’t a huge fan of the texture, just because I’m not into mock meat. As a lifelong vegetarian I’m not sure how it compares, but my boyfriend seemed pretty convinced. His words were something along the lines of “wow, this tastes just like BBQ ribs. This is definitely vegan progress!” It is the first mock meat product he’s tried (admittedly few, as I don’t use them much) that he actually found realistic. Mini-Moo Bunnycomb Bar: Somehow despite my love for Moo Free chocolate, I hadn’t tried their honeycomb flavour until now, but is just as tasty as their other bars! Dame Blanche cookie: I adore Dame Blanche cookies! I sometimes buy packs of these at Vx; it consists of two lovely biscuits with frosting in the middle, coated in chocolate. The vanilla flavour, like the one in my box, has vanilla frosting in the centre, but my favourite has chocolate frosting in the middle. Goodie Good Stuff sour koala bears: I’m a big fan of Goodie Good Stuff gummy sweets, but I hadn’t seen the sour koala bears before. I think they might be my favourite flavour yet! I’m a big fan of sour gummies. 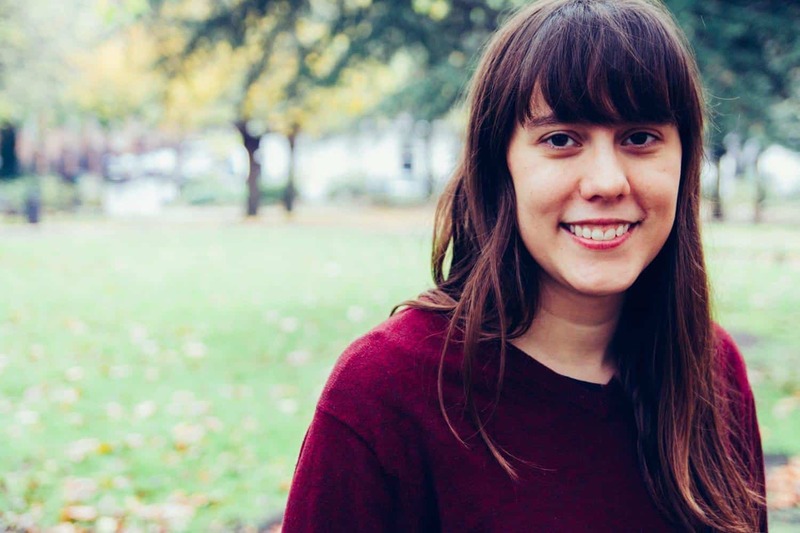 I am so happy that the lovely founders of Vegan Tuck Box took the chance to do an interview with me — I couldn’t wait to hear more about Vegan Tuck Box! The Vegan Word: What inspired you to start Vegan Tuck Box? 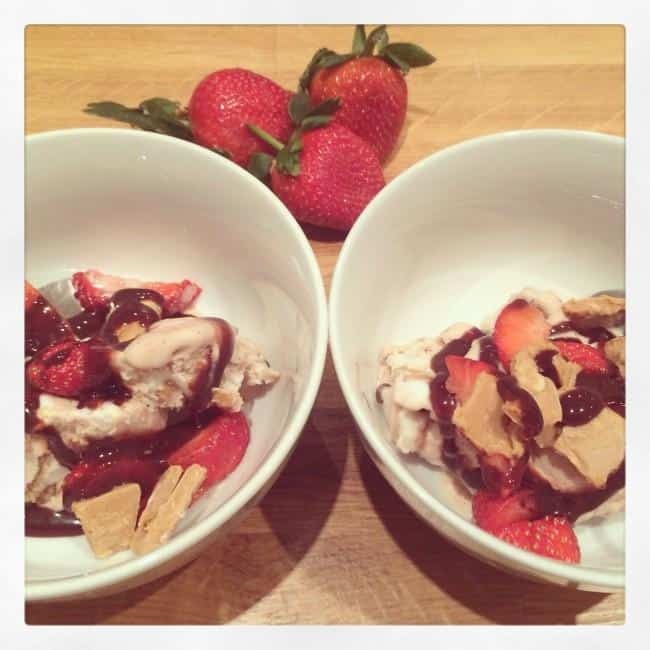 Kelly & Chrissy: We are passionate about making veganism accessible for all so we set up Vegan Tuck Box to make vegan products more widely available and easier to obtain. We have both been involved with vegan outreach for a long time, including the London Vegan Pledge. Last year we set up The Vegan Approach, which organises events for people who would like to try being vegan for a month. Meeting lots of wannabe vegans gave us lots of useful insights into the challenges people face when transitioning to a vegan diet. 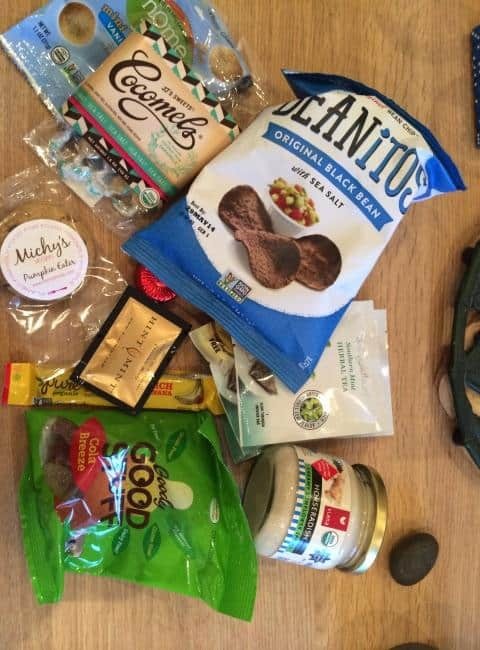 One issue that has come up time and again is availability of vegan snack and treat foods. Some also find reading labels time consuming and are unsure of which products are vegan. So we set up Vegan Tuck Box to make it even easier. 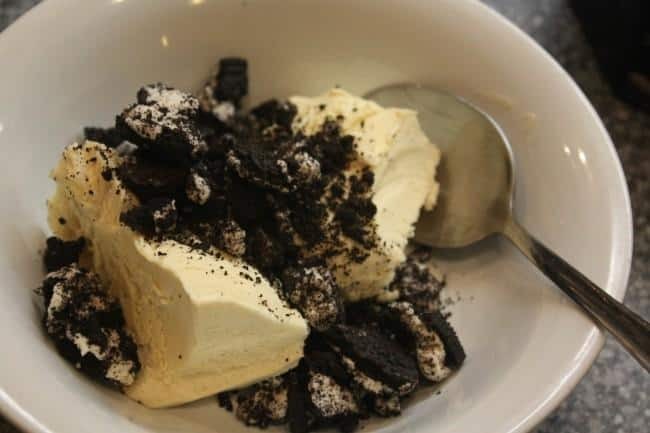 TVW: What sorts of treats do you plan to include? Will there be healthy snacks or is it purely treats (or some mix of the two)? K&C: The boxes will have different items each month and we will try to include a mixture of savoury and sweet. Some products might be more on the healthy side, but as these items are easier to come by we want to focus on exciting new treats that people find harder to find. TVW: How do you decide what goes into a box? K&C:We are constantly looking for new and exciting vegan products. We have to make sure everything we choose will fit in the box so we need to look at size as well as weight for the shipping costs. We try to include 10 different types of treats so that it’s not all chocolate and of course, we want our customers to get value for money. TVW: What brands are you working with? K&C: We are always looking for new companies to work with and we’re really keen to support the small independent vegan companies as well as the larger ones. We hope to have some bespoke products made just for Vegan Tuck Box in the future. TVW: Tell us more about the sustainability aspects of your business — I understand your packing materials and premises are eco-friendly. K&C: The box is made from 100% recycled material. Any packing material we need to use is made from non-food renewable resources and is 100% biodegradable. The postcards are printed on FSC (Forest Stewardship Council) paper and printed with vegetable inks. Our packaging is kept to a minimum and can all be recycled. Our premises are powered by solar panels and the website is hosted by Web Architects whose office is powered by Good Energy. TVW: Do you have any plans to expand beyond food or are you keeping all items in the boxes food-related? K&C:We want to concentrate on food so will be sticking with treats and snacks for the forseeable future. However, if the business takes off and there is a demand then we would like to be able to offer a smaller box and possibly boxes for special diets such as gluten free, nut free etc. We would love to hear feedback. Have you tried Vegan Tuck Box or a similar box scheme? What do you think? Tell me in the comments below! Disclaimer: I paid for my own box and all thoughts are my own! That is AWESOME! I definitely want to order it when I’m back. I didn’t know the biona stroopwaffles were vegan! I always passed by them and their ilk in my organic shoppe. And I’ve been wanting to try that Vego bar from Germany! This is awesome. This is great news for UK vegans! Everything in the box looks wonderful, but I’m especially eyeing that Dame Blanche cookie. Nom! I’ve just got mine, and I loved it. Such a great idea! The Vego bar was definitely one of the highlights! When will they rotate the products, do you know? I need to know when the next set of treats are in! 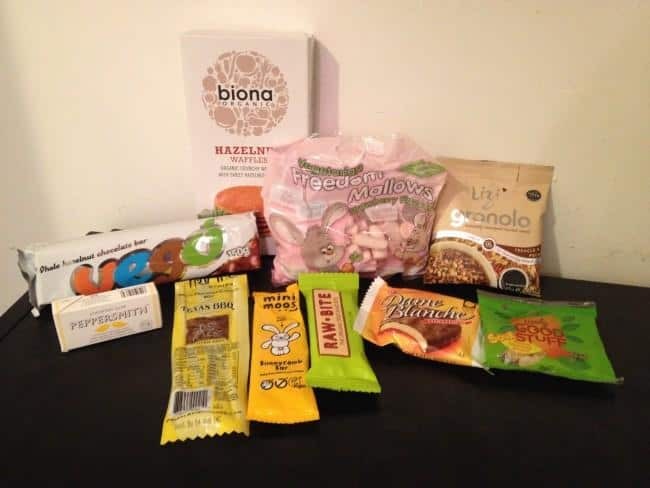 Thanks for the awesome review, I’m always curious about vegan snack boxes in different countries. Vegan Cuts also deliver internationally, do you know that? The contents look really good, and I love Primal Strip BBQ flavor, they also have them here in the U.S.